Know your ABCs (air, brakes, chain and cranks)? Click here for an easy way to ensure your bike is safe to ride. Brush up on the rules of the road with TransAlt's Biking Rules! handbook. Remember, cyclists are subject to the same traffic laws as automobiles - that means stopping at red lights and stop signs, riding in the direction of traffic, and giving right of way to pedestrians in the crosswalk. Learn to change a flat tire and gain independence from one of bicycling's greatest banes — it's easier than you might think. Confused by all the tech banter at bike shops? Get to know your ride with this bike anatomy lesson. A reflective ankle strap, available from your local bike shop, will prevent your pants from getting greasy or snagged in the chain, while adding extra visibility. Or, if you're in a pinch, just roll up your right pant leg a lá mid-90s LL Cool J, whose style was apparently inspired by early NYC bike messengers. Riding in a skirt? Keep your undergarments under wraps with this easy trick which won't cost you a penny (ok, it will cost you exactly one penny). Use a quality bike lock. When locking up, bike racks or tall street signs — so your bike can't be hoisted up and over by thieves — are your best bet. Always avoid locking to the lateral bars of scaffolding, which can be easily unbolted, unless you're a firm believer in setting free the things you love! 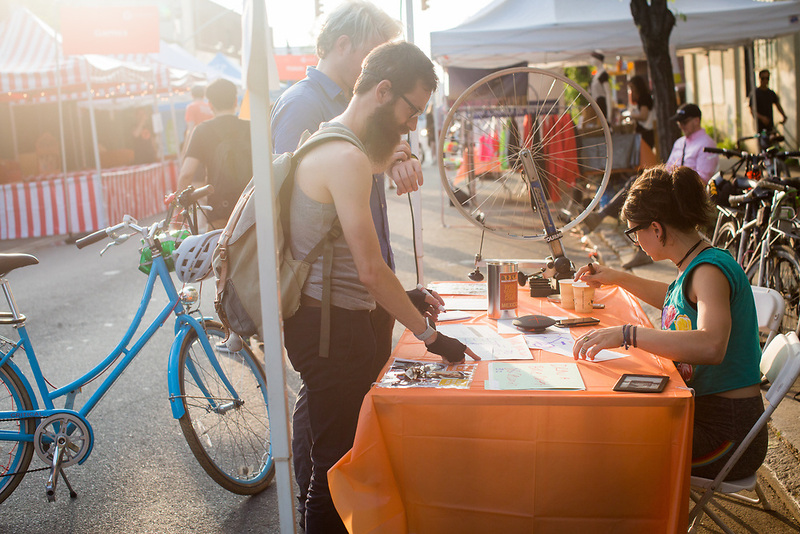 Become a TransAlt member and receive a coupon for $47 off a New York Kryptonite Lock!